"Neither as Christians or Jews, nor simply as intellectually responsible individuals," says Hixon, "have members of Western civilization been sensitively educated or even accurately informed about Islam." As tensions between America and the Middle East grow, we should promote cross-cultural understanding, not violence. This new edition, with a new foreword and commentary by Neil Douglas-Klotz, allows the reader to drink from the illuminating fountain of the Holy Qur�an�the foundation of Islamic culture. 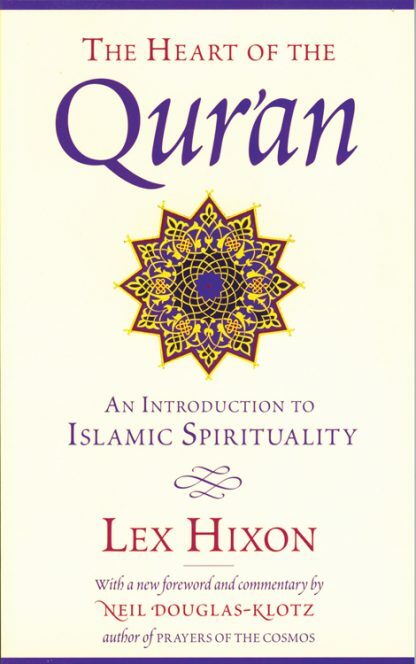 First published in 1988, Hixon�s poetic meditations on over nine-hundred passages from the Qur�an show that they are not relics from the past but exist in a timeless present, communicating as vividly as when they were first uttered. Through clear and accessible language, Hixon illustrates how the teachings of Islam can be applied to contemporary everyday life issues such as love, relationships, justice, work, and self-knowledge. In addition to the selections themselves, the book contains readable, lively introductions to the tradition of Islam, its basic precepts, and what it says about other religions. As the first such work in English to be written by a Muslim, The Heart of the Qur�an continues to show that Islam is among the great wisdom traditions of humanity.